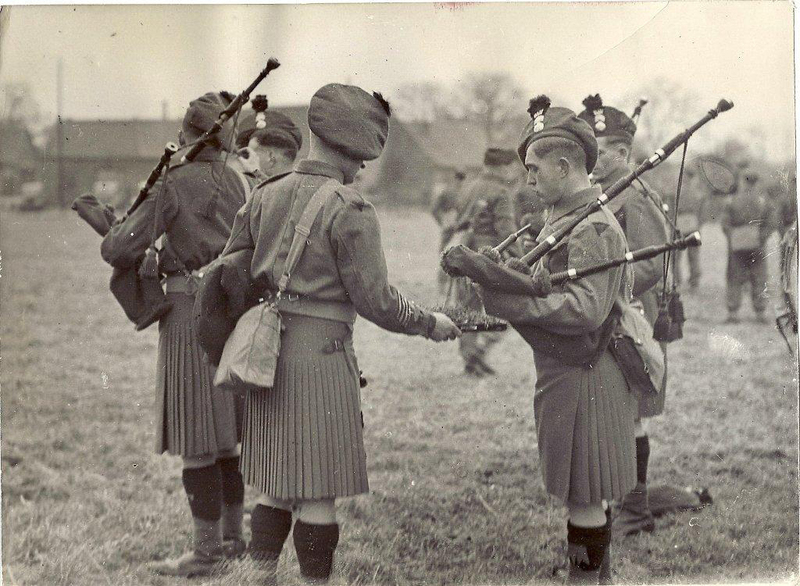 Irish Fusliers WW II France,1939/40. Thanks to my friend Joe for the pictures. 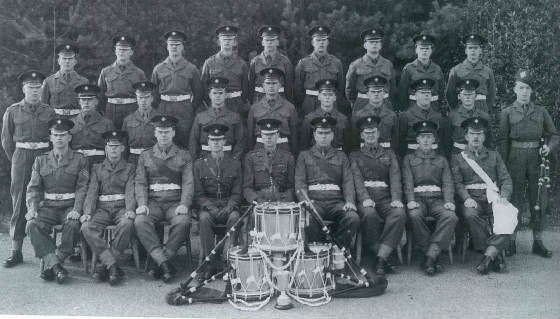 This picture was taken on St.Patricks Day when the Faughs were receiving Shamrocks. 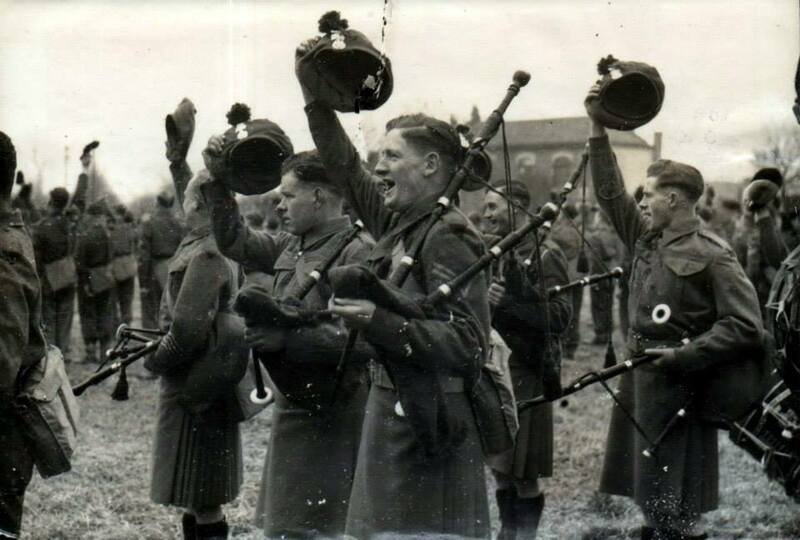 Above and below, Pipers of the Royal Ulster Rifles at the time they were amalgamated into the Royal Irish Rangers. 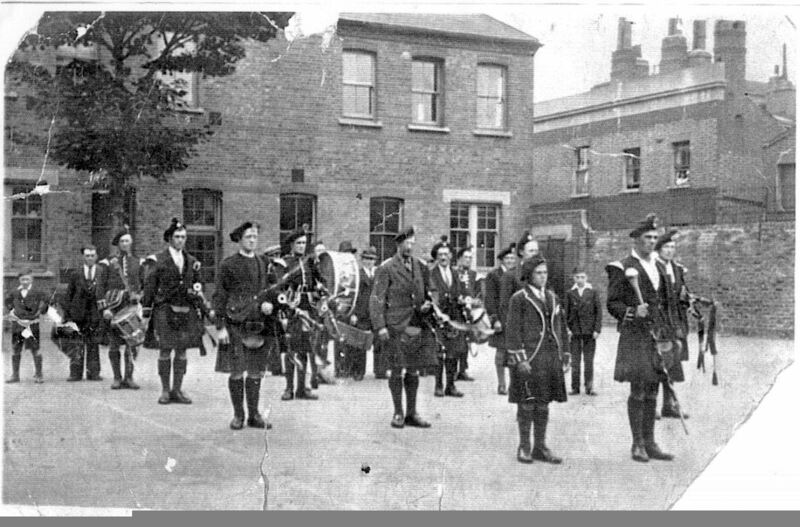 A short time after these pics were taken the pipes had to be converted to the 3 droned GHB. 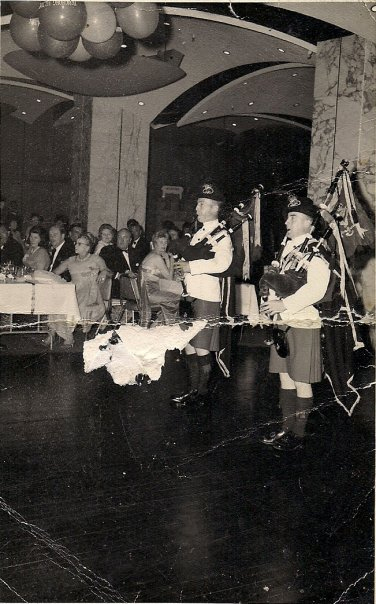 in 1969 against the proposed closure of the London Docks.This photo was found at the museum by the daughter of George Willis jnr. 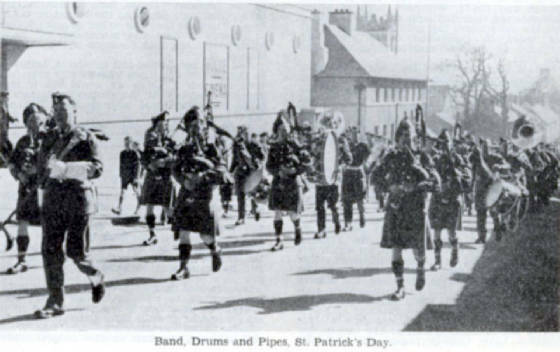 The Totenham Irish Pipe Band around 1930. 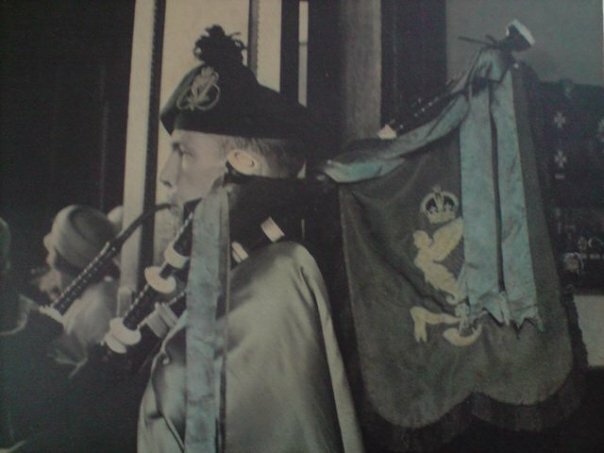 The newspaper cartoon style clipping above shows an illustration of the Black Raven pipe band with the Lord Mayor of Galway. 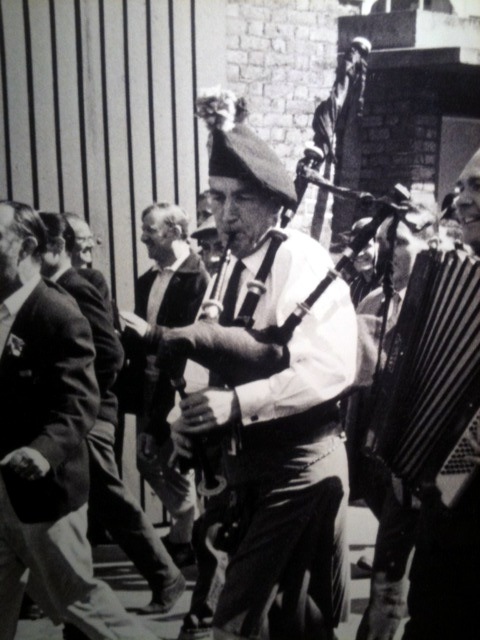 This was in a Brittany publication feature on the annual Celtic Festival in L'Orient 1974. 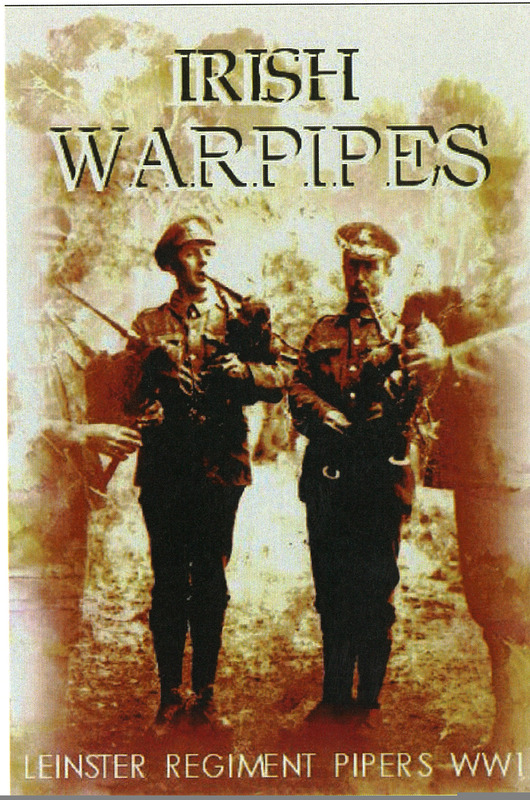 The picture above was sent to me and it was great to see proof of the WW1 Irish pipers in this regiment. 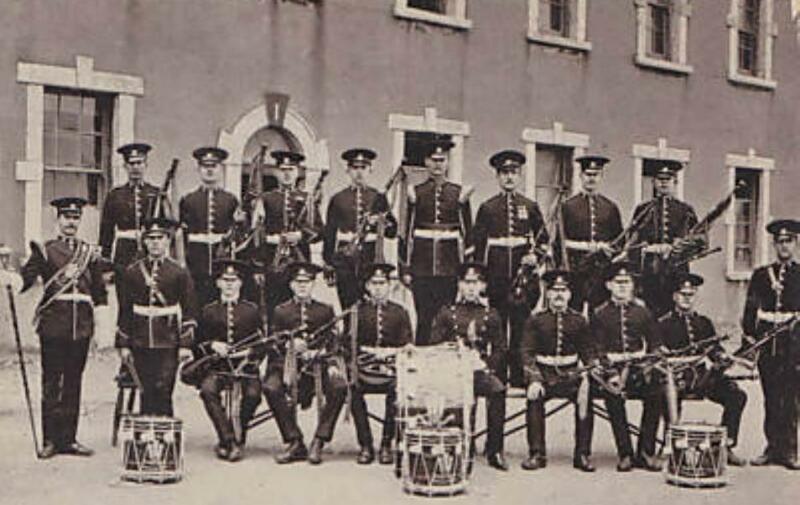 The Leinster Regiment Pipes and Drums 1913.